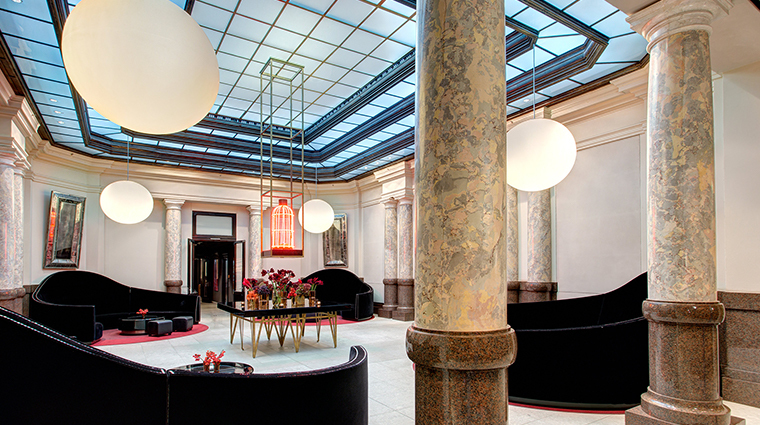 Occupying a refurbished 19th-century neoclassical bank on Berlin’s famous Unter den Linden boulevard, Hotel de Rome, a Rocco Forte Hotel is both historically resplendent and daringly modern. 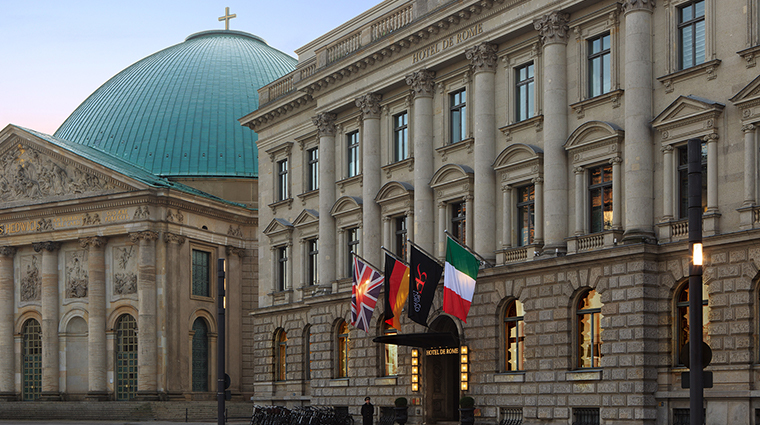 It has a prestigious spot on Bebelplatz — a beautiful public square that has seen several historic events — and manages successfully to blend a stately exterior with a stylish interior that’s heralded by an imposing lobby that features a dangling red-neon birdcage and oversized sofas. 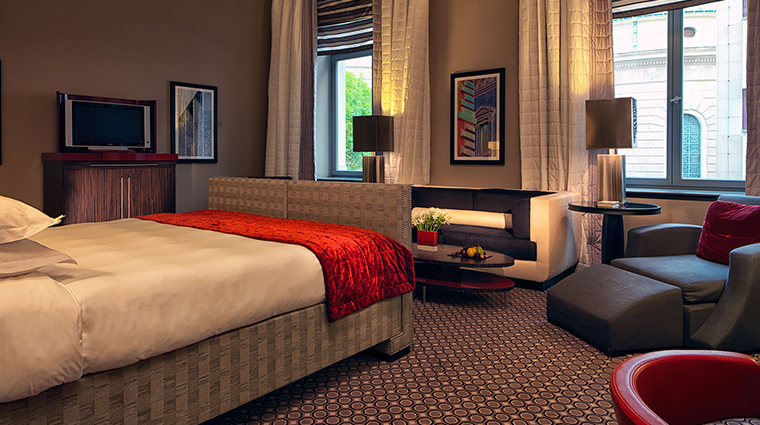 Highlights include a large heated pool set inside a former jewel vault, a fine-dining Italian restaurant and a comprehensive spa. 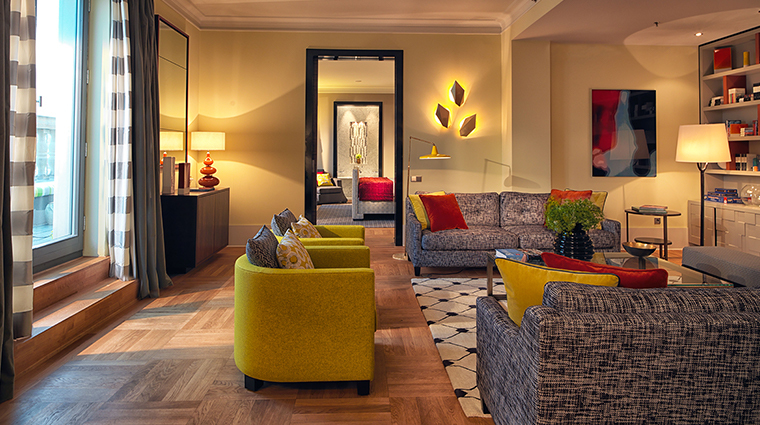 A rooftop terrace offers stellar views across the square, and amenities are exemplary, from the attention lavished on younger guests to the tailor-made VIP sightseeing tours. 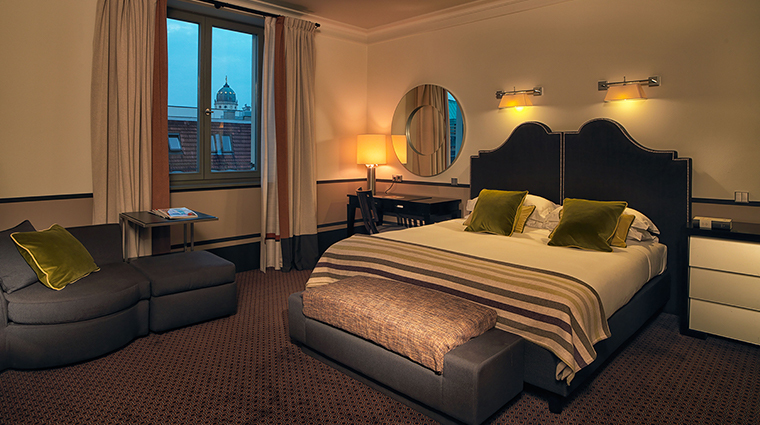 Set in the same square as the State Opera House, the majestic domed St. Hedwig’s Cathedral and the handsome buildings of Humboldt University, the luxury hotel makes you feel as if you’ve woken up in the heart of Prussian Berlin. Architectural firm Aukett and Heese, along with designer Tommaso Ziffer and Rocco Forte’s Olga Polizzi, retained the historic building’s original features — the downstairs vault and the iron staircase that winds up through the first three floors — while peppering the interior with bold modern statements and splashes of blues and reds. 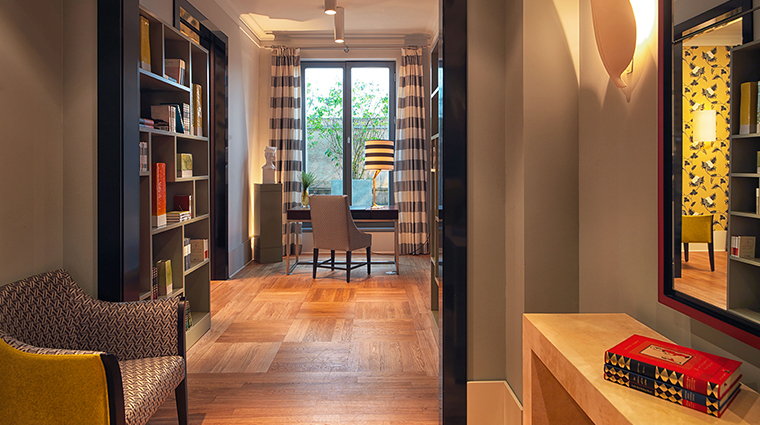 Occupying the former jewelry vault of the bank, Spa de Rome has a 65-foot heated swimming pool, a modern gym, a Finnish sauna with light and aromatherapy treatments and a steam room. 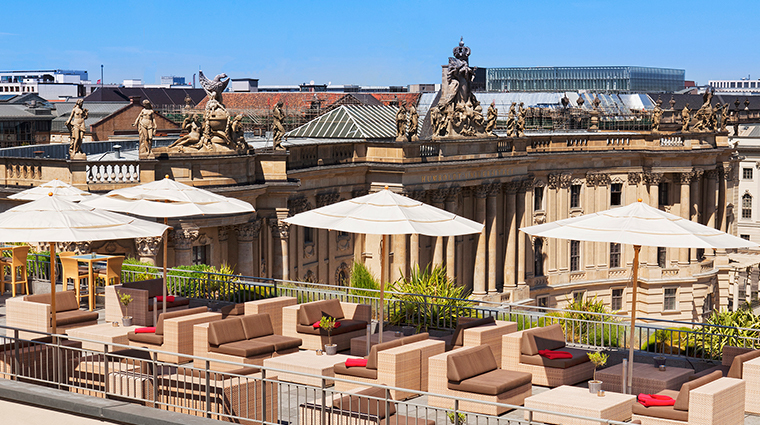 The structure of the Berlin hotel is that of the original Dresdner Bank building, which was constructed in 1889. Another small room inside the spa still has the heavy vault door; enter it to get your nails done. 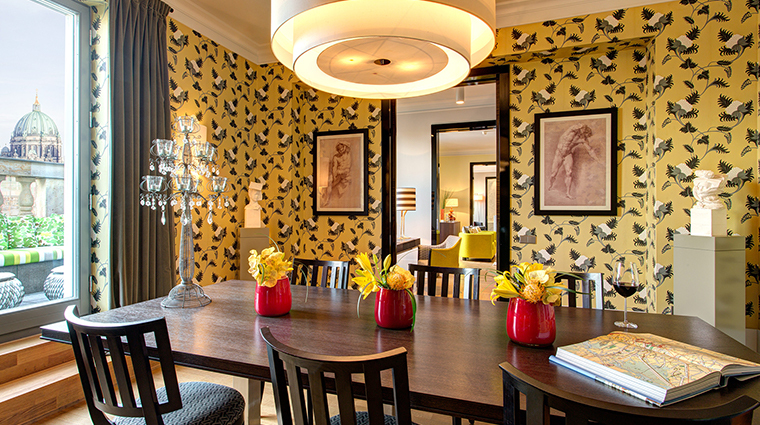 The rooms continue the hotel’s penchant for mixing contemporary and classic motifs. Splashy color palettes, including red door wardrobes, have been created to carefully blend with marble bathrooms and solid mahogany furnishings. 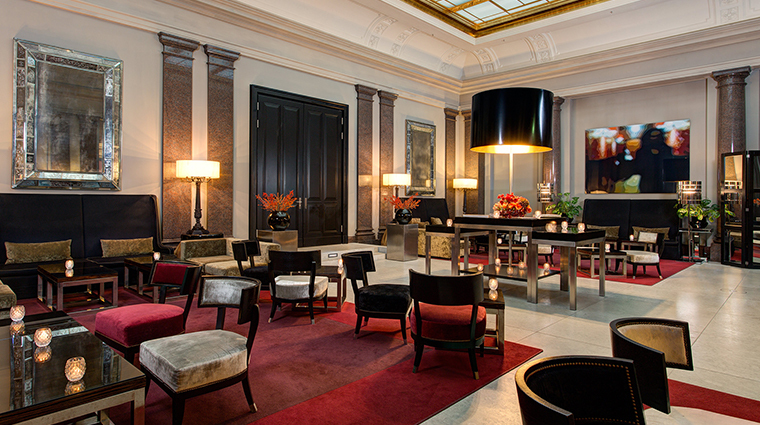 The lower three floors, which maintain the bank’s original structure, have the highest ceilings, while the Terrace Suite affords the best views from its large outdoor wooden deck. 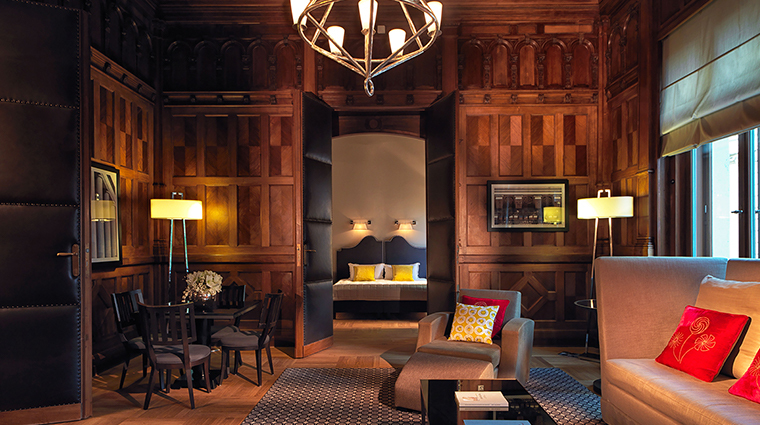 Four of the first-floor suites are uniquely historical; fashioned from the former bank executive offices, they feature oak-paneled walls and, in one instance, authentic WWII shrapnel damage. La Banca, located right across from the lobby, is a comfortable, open-space restaurant with subdued furnishings, custom-made lighting and a continuously rotating selection of local artworks. 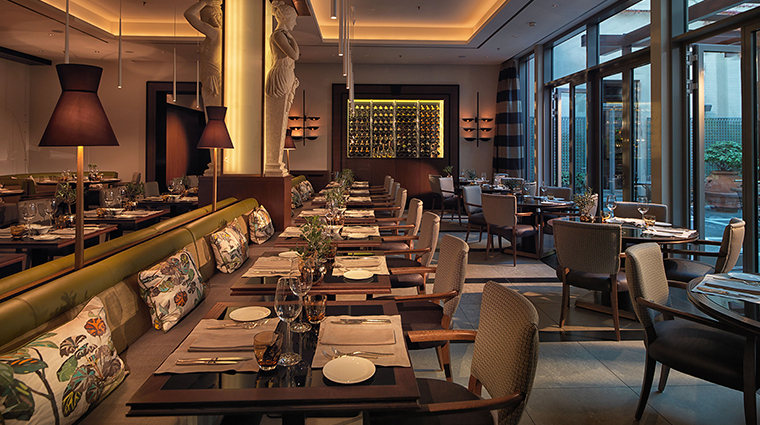 Helmed by head chef Jörg Behrend, the lunch and evening menu offers inventive spins on Italian classics, such as linguine with lobster bisque and lamb that’s been grilled on a Himalayan hot stone, as well as a very good European wine list. 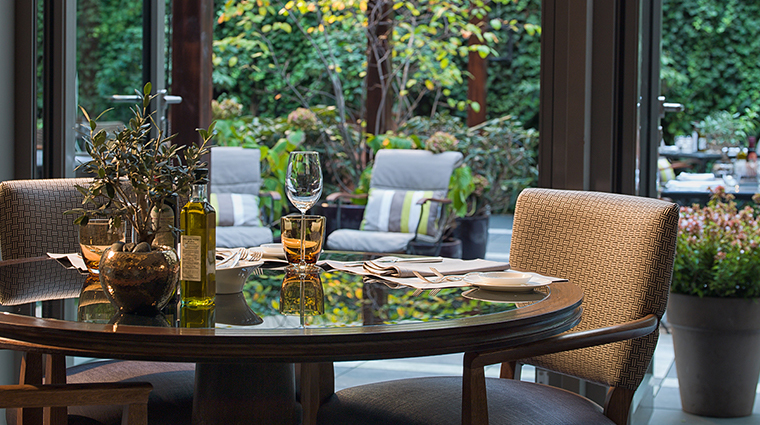 The restaurant’s Opera Garden is a romantic spot in warm weather, and the adjacent cocktail bar offers a great range of classic and innovative libations. When the temperature rises, the rooftop terrace is the place to go for snacks and drinks, as well as splendid views of the square.